The Marvel movies on the whole seem fairly upbeat and optimistic to me, on the whole. Burton's quote is a laugh from the guy who decided to give Willy Wonka a bizarre abusive dentist father backstory and make the Mad Hatter into some kind of freedom fighter. Whose Christmas movie was about a Halloween character being depressed about not being a part of Christmas and trying to forcibly depose Santa Claus. I dunno, I haven't really enjoyed much of anything from Burton in the last decade so it's kind of hard to take his advice seriously. I hope Marvel isn't, though. I feel like its ubiquity among the Hot Topic crowd gets Nightmare Before Christmas kind of a reputation of being gothy and dark when it's really a cheerful movie at its core. The whole point is that Jack gets over his funk and moves on with his life, after all. But that's back when Burton was more creative. I may also be stingy in my praise, but I also credit that movie's writers and director more for its charm and success than I do Burton's role as producer. His poem the movie is based on isn't all that great. Considering how successful they are right now, I doubt any of the producers at Marvel are taking any outside advice too seriously. They have to know they're doing something right. That's true, he wasn't actually the director of NBC. Or the screenwriter. And if I recall correctly, the screenplay diverges from the source material in a number of ways, most of which work to make it lighter and more charming. Henry Selick is a treasure and is half of what everybody loves about Nightmare Before Christmas (the other half is Danny Elfman). Selick's other big stop motion productions, James and the Giant Peach and Coraline are also lovely. Burton's quote, I can understand some of what he's taking about. I loved Guardians but it did have a lot of the same story beats as Avengers, and a lot of the solo stories do follow the monomyth a bit more than I'd like to admit. And outside of Loki there haven't been any really worthwhile antagonists. But then there's Winter Soldier which provides that with a little bit of effort these characters can be in more than straight up adventure movies, but also thrillers and spy movies. Maybe suicide squad will be a heist movie. Maybe doctor strange will be a psychological horror movie. I think they ought to let Tim Burton direct Howard the Duck. With Johnny Depp as the voice, of course. Those two are attached at the hip. He'd never do that. Just cast Depp as the voice, I mean. He'd have Depp in some kind of ridiculous half-Jack-Sparrow-half-duck costume. He'd have to make sure that Helena Bonham Carter (Burton's wife) gets intimate with him on screen at some point too. Maybe suicide squad will be a heist movie. Maybe doctor strange will be a psychological horror movie. Actually, I think Antman is supposed to be a heist movie. But I agree, I hope the marvel super hero movies become more a setting then a style. Favorite movie poster of all time, right there. Where are we putting Agent Carter talk? Dunno, but I enjoyed it! We're not getting a female lead Marvel movie for some time if ever, so this'll do for now. Marvel's already confirmed Captain Marvel, and if I'm not mistaken, confirmed it was going to be the Carol Danvers version of Captain, not Mar-Vell. Wait, didn't they? I remember getting excited about this. Found it, Feige confirms it's Carol Danvers. Christ, must I really wait three years? God? Holy Ghost? Anybody? Right? But I maintain hope that Black Widow will be a badass and weild Thor's hammer during Age of Ultron... and hopefully Scarlet Witch will be more than a bit part. It might be the era, but I think I'm already liking Agent Carter more than Agents of S.H.I.E.L.D. 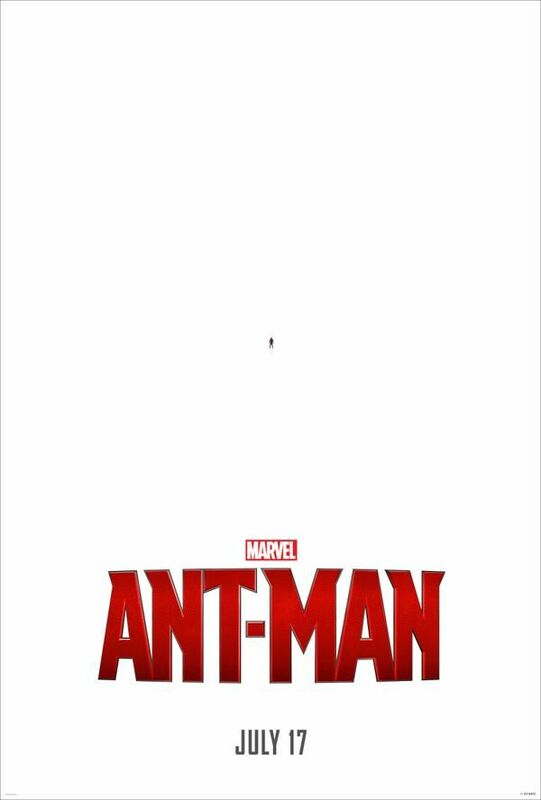 Also, having zero expectations of Ant-Man, that trailer intrigues me. Oh, I already knew about the Carol Danvers movie, I just consider a movie announcement for three years in the future to be "not in some time, if ever." These things get announced and cancelled all the time, weren't there like three or four times we were definitely going to be getting a Wonder Woman movie? Basically they've announced a metric crapton of movies and I'd be shocked if they all actually make it. Normally I would agree, but Marvel does seem to be staying pretty well on point... and I doubt Disney would give up the money making opportunity any of these movies represent at this point. DC, meanwhile, leasing so many of it's heroes out, is really in the hands of the studios that buy the rights, and those studios have all proven to be fickle. The main issue is that the market is getting flooded with superhero movies. If the general public starts getting bored and box office starts to drop, it's very possible that Disney would want to drop some of the lesser known heroes from the lineup (and very little of the general public knows Captain Marvel). Hopefully the movies will stay on point and they'll keep turning out great content, but comic book heroes' popularity tends to fall in and out of favor. I thought a while back we decided to put it in the Agents of SHIELD thread, but I think positing it here (or even making a new thread) would be fine. Apparently there's a new run of Ant-Man debuting today in comic books. If THIS is how they're going to do Ant-Man in the movie, I'll be pretty happy with that, I think. WTF, new Avengers trailer today and no posts?